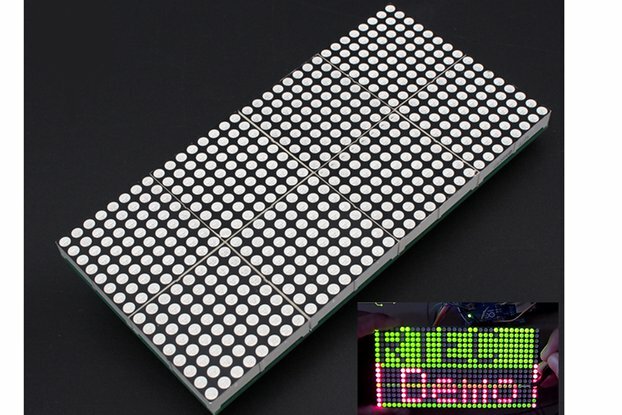 A cascadable LED matrix module for gaming, text, graphics, and animation display. 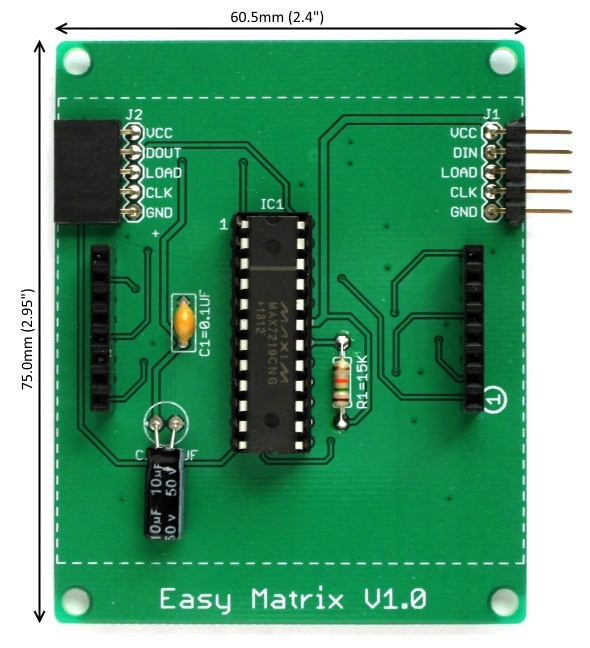 Easy Matrix is a cascadable 8x8 LED matrix module with the MAX7219 chip on board, which allows to control the display with only 3 I/O pins from microcontroller. 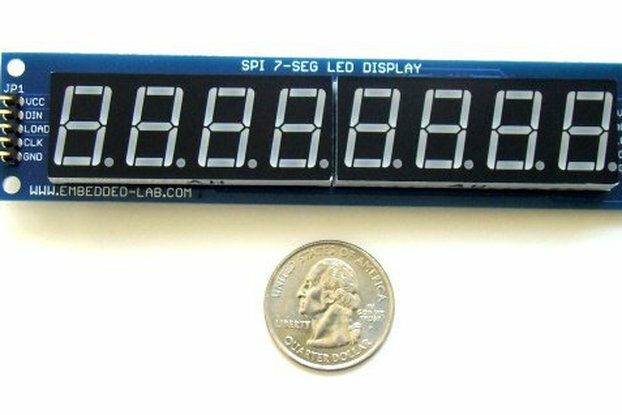 Multiple Easy Matrix modules can be easily cascaded to make a bigger-size display through precisely aligned male and female headers on opposite sides of the display. 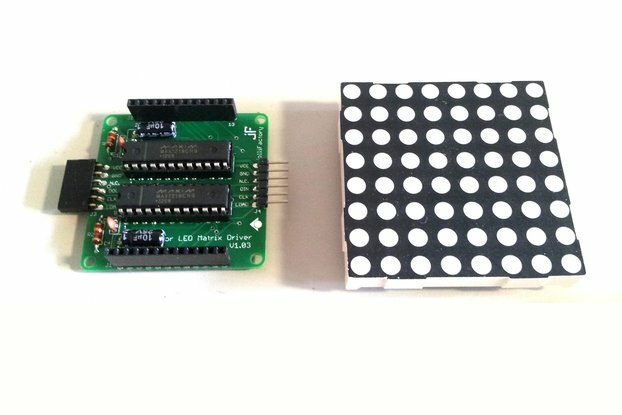 It is compatible with Mark Ruys’ Max72xxPanel (Adafruit’s GFX library is also required) and MaxMatrix libraries for Arduino platform. 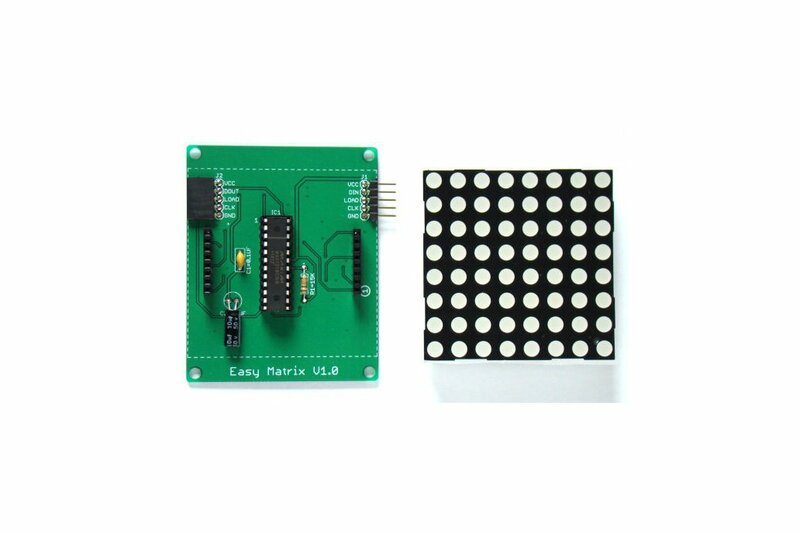 You will receive one Easy Matrix PCB and all other components (including MAX7219 and 8x8 Red LED matrix module) required to completely assemble the display module. 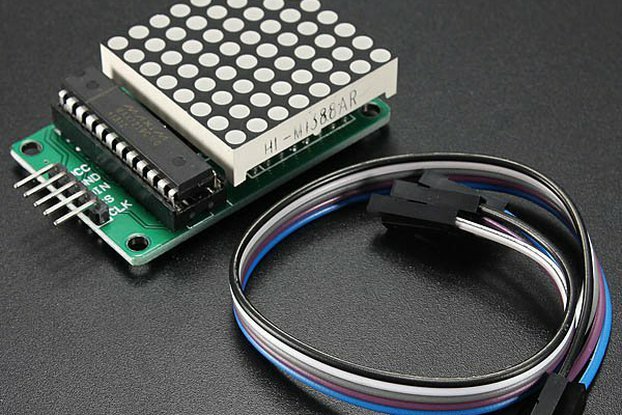 Read the instructions carefully before assembling the kit.